My fiancé went on his stag do this weekend, so what did I do? 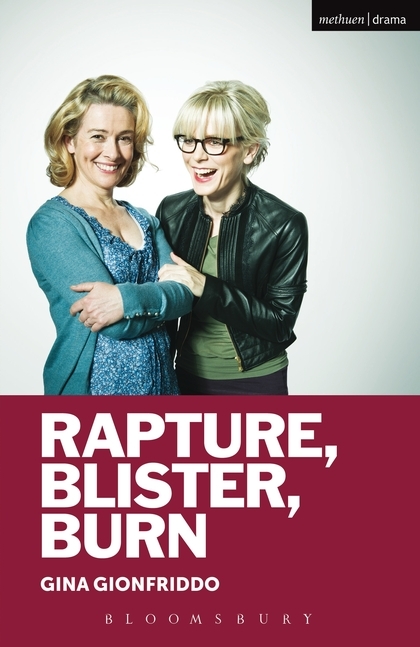 I bought myself a ticket to a feminist play – Rapture, Blister, Burn at Hampstead Theatre. To be honest I’ve avoided the theatre during the last few years (musicals excepted). To some people the following words will be sacrilegious, but I generally find the theatre to be a waste of money. The reason for this is the setting of the theatre itself; it’s warm, it’s dark and it’s filled with those ludicrously comfy velvet seats. The result is that somewhere between the curtain coming up and the interval I usually nod off into a deep slumber. To pay £50 for a good snooze is ostentatious at best and frivolous at worst. But when I heard Emilia Fox and Emma Fielding (the stars of the performance) being interviewed on Radio 4’s Woman’s Hour, I decided to give the stage another shot. At £29 a ticket I knew that if the worst happened it would be a cheaper nap than some. Well, it was the best £29 I’ve spent in a long time. The first observation I’m going to make is how strikingly theatre audiences seem to reflect the characters on stage. The place was packed with women. Some years ago I went to see a production of Cat on a Hot Tin Roof with an all-black cast and it was the same – the majority of the audience was black. It seems to me it’s not that difficult to work out how to get audiences of greater diversity into theatres… anyway, I digress. The play is set in the USA and is about two female friends who chose very different paths in life; Catherine opted for a career, as a feminist academic, Gwen opted for marriage and children. To complicate things Gwen married Catherine’s boyfriend Don, who she split up with to pursue a fellowship in London after university. Catherine moves home to care for her sick mother and after a decade apart she rekindles her friendship with Gwen. She ends up teaching Gwen and Gwen’s babysitter Avery a course in feminist theory. Three generations of women explore the choices they’ve made through the vehicle of Catherine’s course in feminist theory. The play uses smart dialogue and intensely believable characters to collide academia and reality and the result is intelligent, emotional and really funny. Laugh out loud funny in fact. Much of the amusement comes from Avery, the teenager babysitter, who takes great enjoyment in doling out relationship advice to Catherine, although her own relationship, with a Mormon who’s making a reality TV show with her, is clearly far from perfect. Catherine’s mother, Alice (played by Polly Adams), who has a penchant for martinis, is also a source of much hilarity. I started this blog because I was frustrated with how removed feminist theory is from real life. This play brings the two together in a funny accessible way without passing judgement or patronizing women. I’ve never seen that done before and I’d like to pay tribute to Gina Gionfriddo who is an exceptionally talented playwright. The one time I stayed awake for the duration of a play and I went to the theatre on my own! Normally I dread the post-play dissection with fellow theatre-goers, but on this occasion I’m dying to discuss Rapture, Blister, Burn with someone. So please, buy a ticket and let me know your thoughts.